Clean, fresh lines, plush window seat, rows of paper gold, bright walls and abundant sunshine…and that view? Green and priceless. 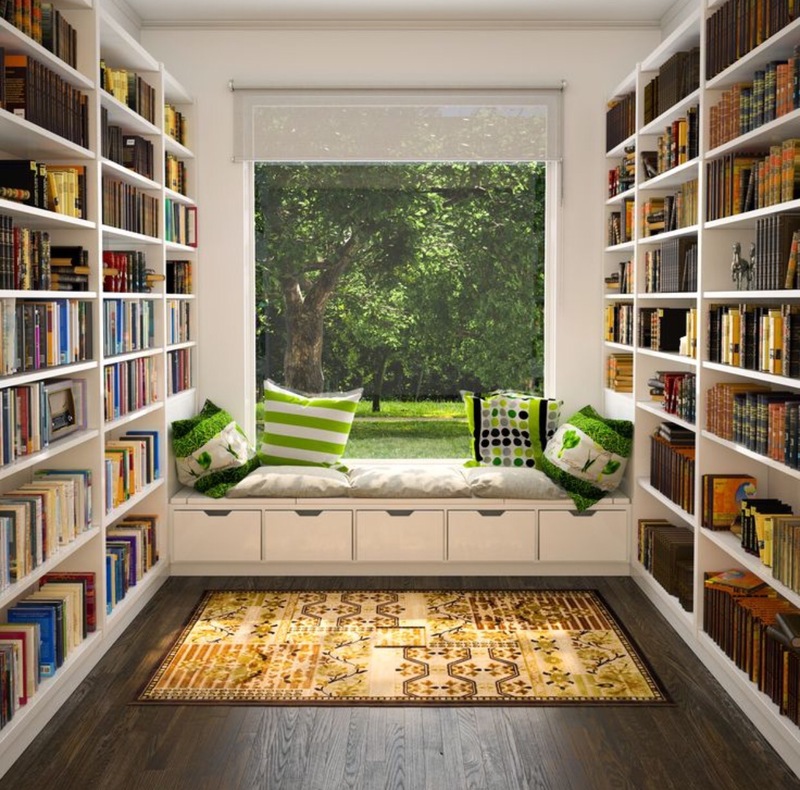 This, friends, is a book lover’s room. Let the drooling commence. Poems from the Vault- Summer. Musical Monday, featuring Trevor Jones.